Your startup can get advice on these from us if you are part of the Business Generator Model. 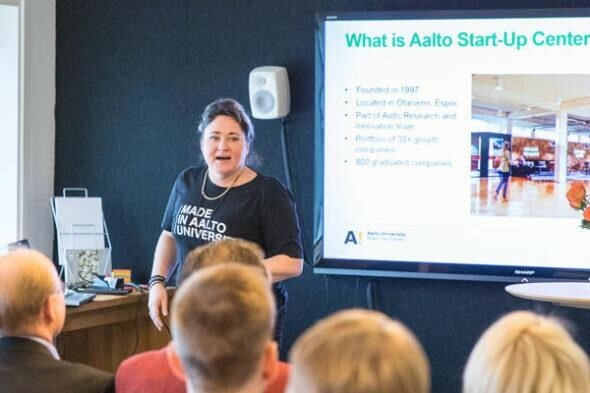 Finance & Funding matters can be a very difficulty entity for a startup, but the Business Generator at Aalto Startup Center helps startups with these finance and funding challenges. Here is a blog post related to the topic for preparation for fund raising. You can make your own story with us! We’ll help you get in shape and scale up in the Program Journey. Your team must have clear idea how you see the high level funding roadmap evolving all the way to the exit of the company. Also you should be able to indicate the preferred exit path to the investors. The usage of public funding instruments (national & EU level) should be clearly planned, and how this funding is augmented with private (angel and/or VC) funding. How much funding are you looking for and what are the terms you are prepared to accept? Valuation is the main issue, but there are numerous other terms, which need to be understood by founders. Also known as an elevator pitch. Objective is to get investors to become interested to continue the discussion. Also known as a teaser. Objective is to give investors the highlights of the investment opportunity and the company background. Typically this is a 10-20 minutes presentation covering all the main areas, which are relevant for the investor to assess the investment case against their investment strategy. Having the strategy and materials in place is just the starting point for a successful funding round process. One must be able to communicate the investment case clearly and convincingly. Hands-on pitch training is the best way to improve in this matter. It is very important to target the right investors for your fundraising round. Talking to others is waste of your and the investor’s time. In ASUC, we have full access to tools like Pitchbook and Crunchbase, which provide the best background information available. The fastest way to make yourself known is to attend events where you can pitch to the investors. ASUC has several partners who organize these events regularly. ASUC staff has an extensive network of investor connections, and can make introductions for you. However, we are not allowed to attend the meetings with you. That is for you to take care of.